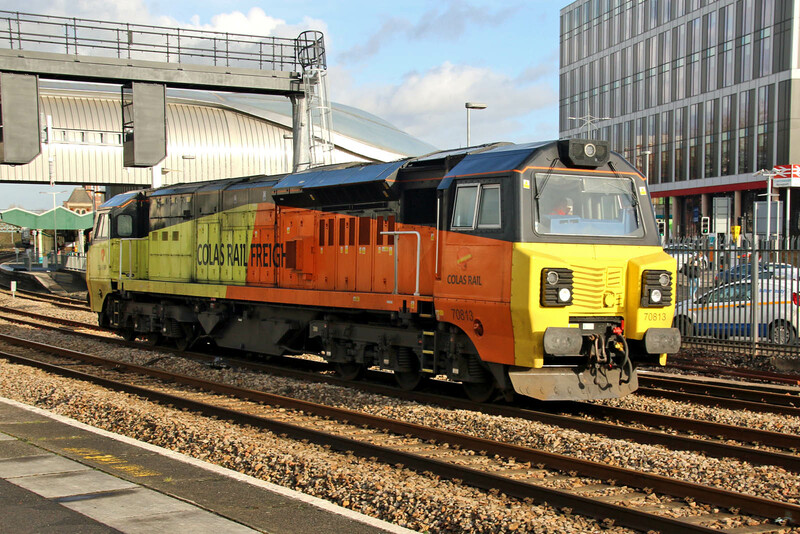 Four Class 70/8's working as I would consider that they were intended to. A full rake of empty PCA wagons for 70808 on 6C36 08:16 Moorswater - Aberthaw. 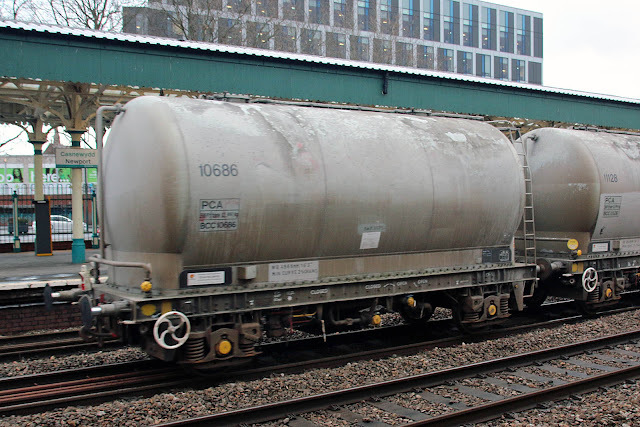 BCC (Blue Circle Cement) 10686 was the rear PCA, built by Powell Duffryn in 1984-85. 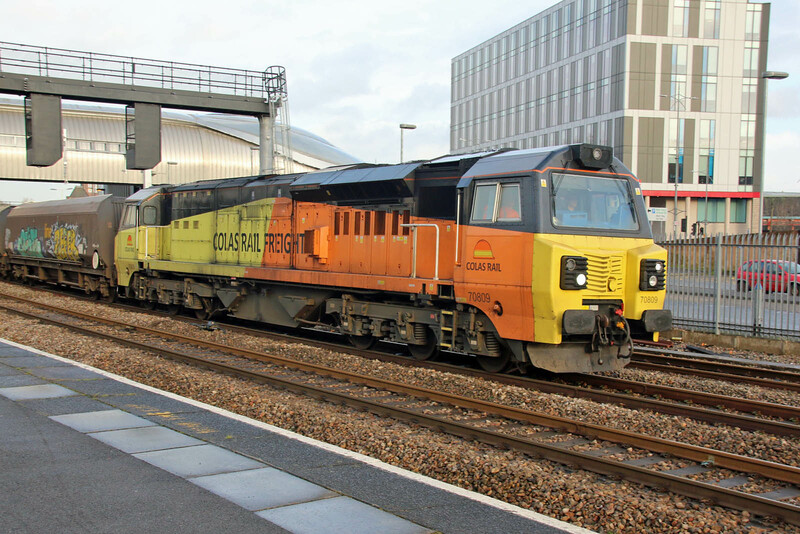 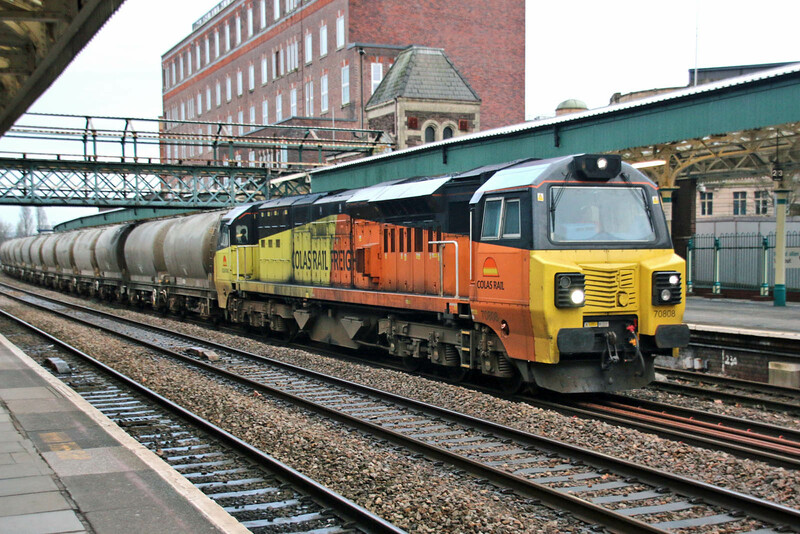 70809 heads loaded coal hoppers as 6B:22 14:29 Avonmouth - Aberthaw Power Station. 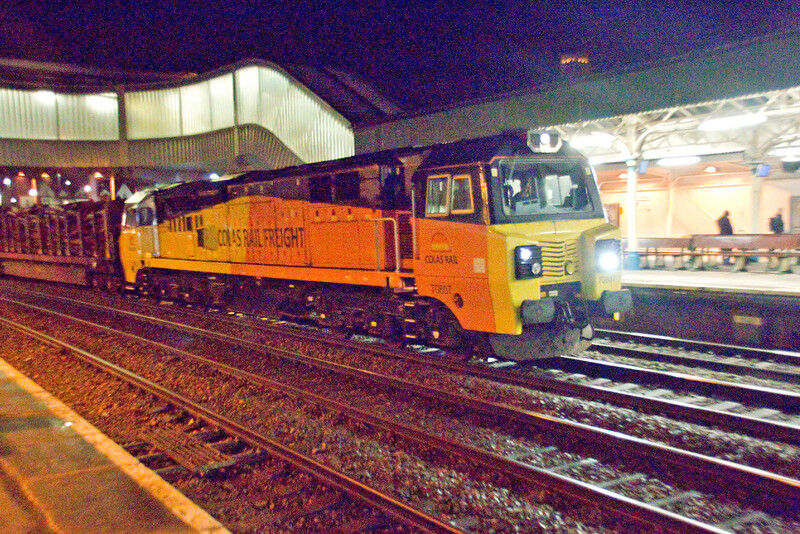 70807 leads the logs, 6M51 17:20 Baglan Bay - Chirk Kronospan.